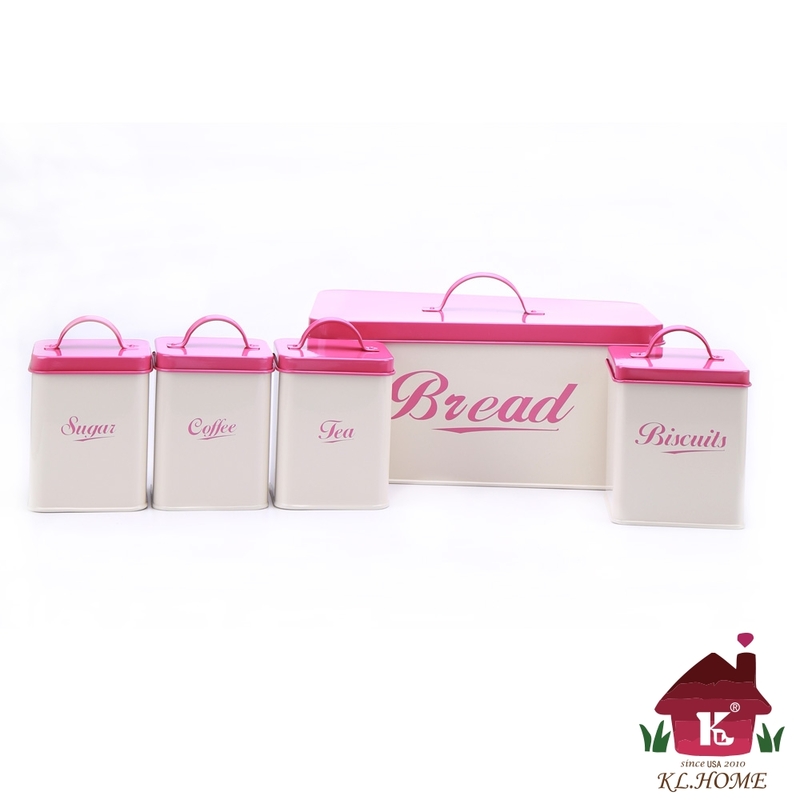 They are stainless steel made of tin and zinc galvanized steel with a powdered coating to ensure high quality bread box to our customers. 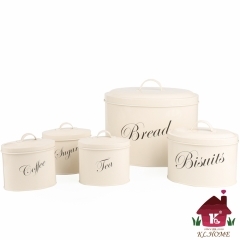 These bread bin gift set is an excellent Kitchen accessory for all ages. 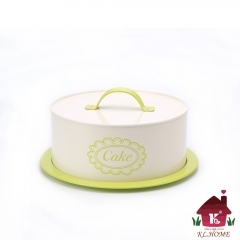 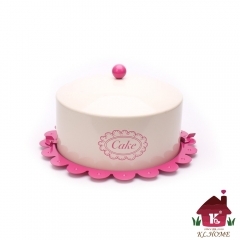 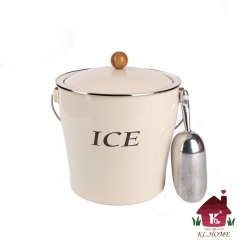 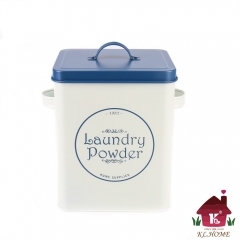 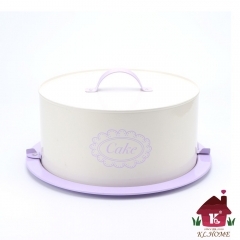 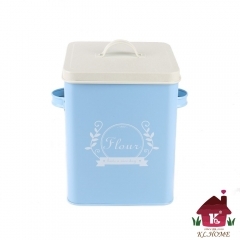 Great for storing freshly baked breads and cakes. 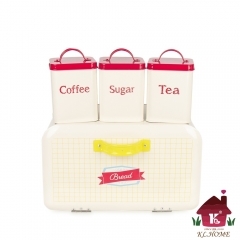 With additional coffee, tea, and sugar canisters. 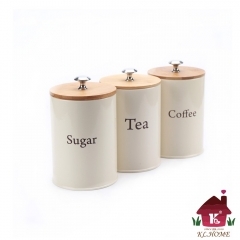 Clever packaging ,Four small one are all housed in the biggest one,It's easy to carry.